Classic New Orleans "Shotgun" style home. Steps to the parade routes and St. Charles streetcar. Enjoy the tree lined streets of uptown New Orleans . Lovely 2 bedroom, 2 bath cottagewith hardwood floors, original architectural features - lots of NOLA charm!. The home is an entire half of a "double". Walk to Pascal Manale's, Charlie's Steakhouse or Il Posto Cafe. French Truck coffee is across the street. Walk to Mardi Gras parades and the St. Charles streetcar. The location can't be beat! Fully appointed kitchen. W/D for guest convenience. Peaceful. Lovely. Close to everything. We very much enjoyed our stay at the Uptown Cottage. The space was both cozy and functional. Our New Orleans experience felt complete staying in this wonderful shotgun style home. All of our needs were met with an appropriately outfitted kitchen, great washer and dryer, and plenty of linens. If the space wasn’t reason enough to stay here, it is perfectly situated to access all that New Orleans has to offer. The street car, both affordable and convenient, is located a short, three-block stroll away and takes you right up to the French Quarter. Even closer is the Magazine Street row of shops and restaurants. There are a number of excellent restaurant just blocks away. A short trip to the west is the beautiful Audubon Park which provides great walking trails. We thoroughly enjoyed our stay and will be coming back here when we visit New Orleans in the future. This was a perfect vacation rental for my little family. Very clean and cutely decorated. Had many necessities onsite and was located in a safe and cozy neighborhood. It was across the street from a perfect coffee, breakfast and lunch spot and two restaurants that serve dinner. We were able to walk to the trolley line for shopping and sightseeing. I would recommend this cottage for your NOLA getaways! We had such a nice stay! This place is CUTE! Just like the pictures. Clean and stylish. Great location. Coffee shop across the street is yummy. Easy stroll to the streetcar. Could not have asked for more! Updated rooms but kitchen and baths were not great. No place to sit outside. Interior doors wouldn’t shut and ac was not adequate. The ac unit had to be turned on and off by unplugging. We enjoyed our stay. The home was clean, close to a coffee shop and a reputable steak restaurant. The St. Charles Streetcar was about a 10 minute walk away and about 30 minutes from downtown. If you plan to spend most of your time in the French Quarter then you should probably stay there because cheap parking is not easy to find and ordinarily far away from the action. The air conditioning was adequate for most but we like it very cold so we were not able to be fully satisfied. 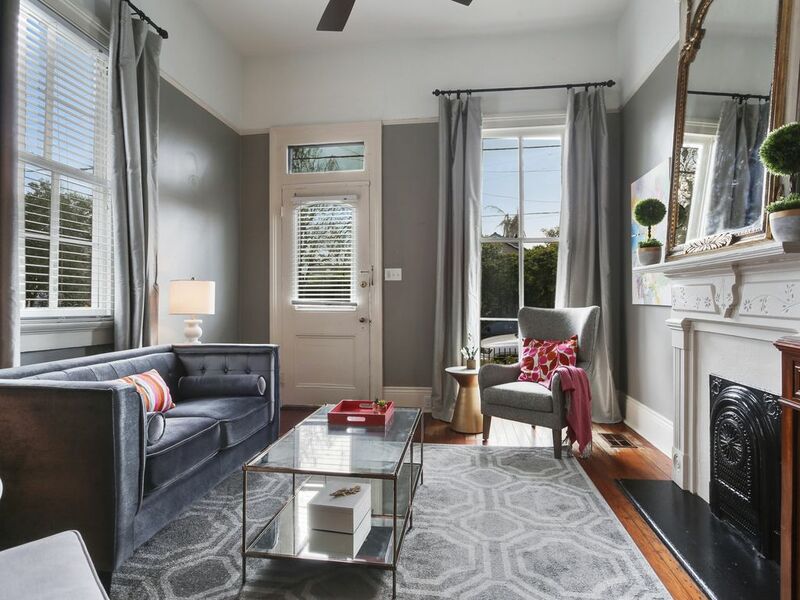 If you are looking for the nicely preserved look and feel of traditional New Orleans with all the modern conveniences, this is a wonderful place to get that experience.